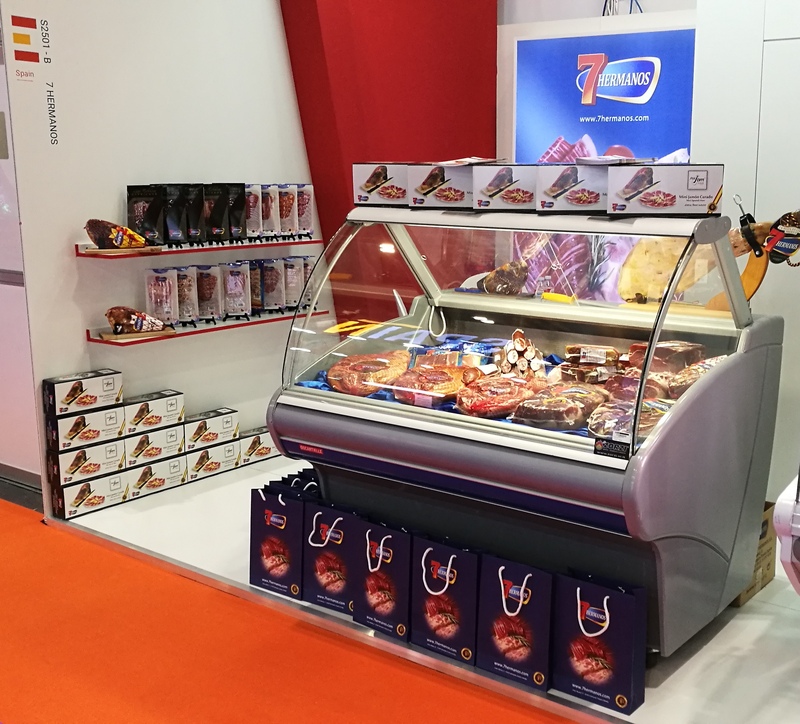 Cárnicas 7 Hermanos has returned to Paris to participate once again in SIAL Paris, which has taken place from 20 to 25 of October in Parc des Expositiions Paris Nord-Villepinte. SIAL Paris is one of the most important international fairs in the food and drink industry in Europe, with over X exhibitors and X visitors. 7 HERMANOS continues betting on internationalization and export and is an acknowledged Company in countries from Europe, America and Asia thanks to products like the mini cured ham Ptit Jam. 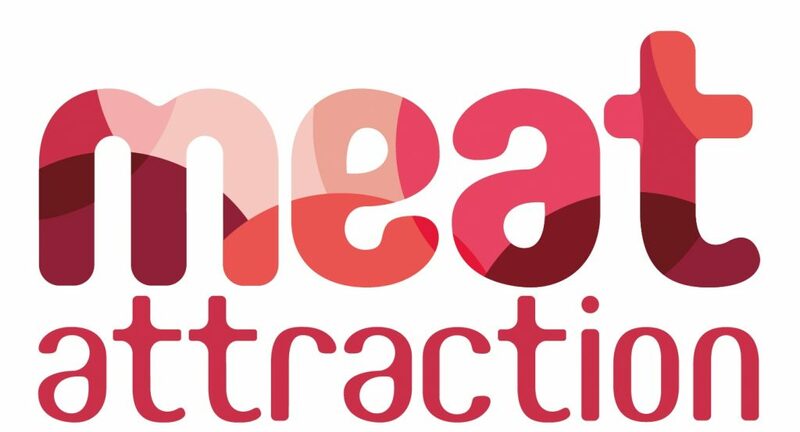 Cárnicas 7 Hermanos has taken part in the second edition of Meat Attraction, which has taken place in IFEMA congress center in Madrid. 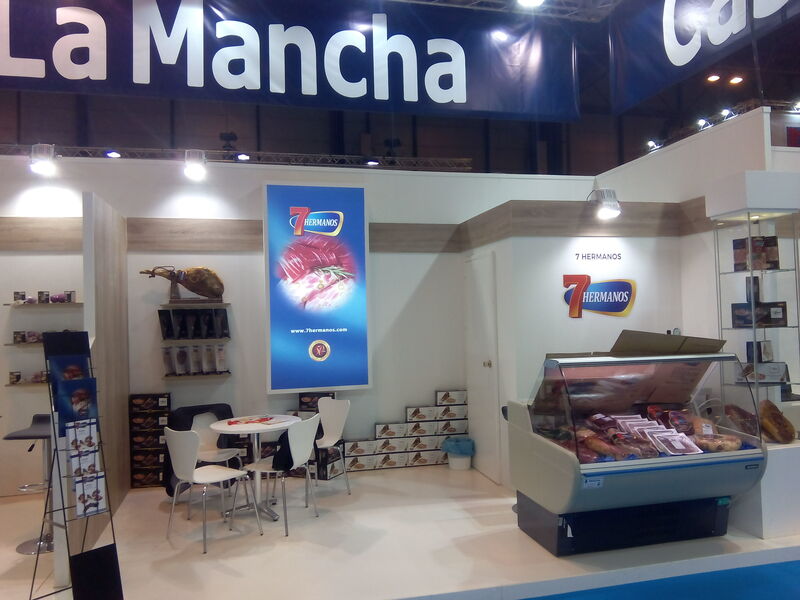 With an appealling stand, 7 Hermanos has met with other companies and authorities of the Spanish meat market. 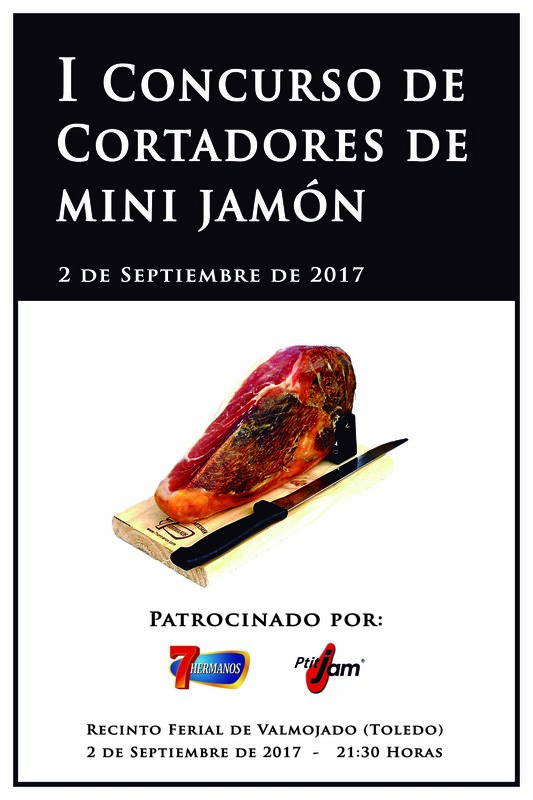 Also, 7 HERMANOS has celebrated during the fair the Second contest of mini ham cutters, where some of the best cutters of Spain have competed for the victory. The jury, formed by the acknowledged cutters Florencio Sanchidrian, Fran Robles, Anselmo Pérez, Pablo Montiel and Juan José Masa, decided that first position should be for Abraham Cambres, while Álvaro Diezma reached the second place and Lorenzo Del Río was third. The award for the best creative plate was for Juan Antonio Barbero. On September 18, we will be celebrating the second contest of mini ham cutters as one of the events that will take place during the fair Meat Attraction. Once again, 7 Hermanos has been selected in the awards that Castilla – La Mancha authorities give to the best products of the region. With this acknowledgement, our hams consolidate as the most awarded in the region. THANK YOU! 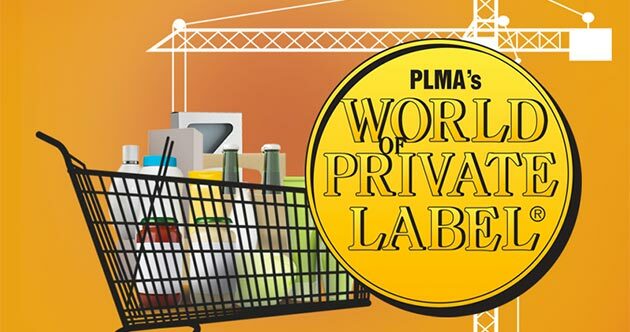 For the first time, we travel to Amsterdam to exhibit in the fair PLMA World of Private Lable, focused to the Private Label business. 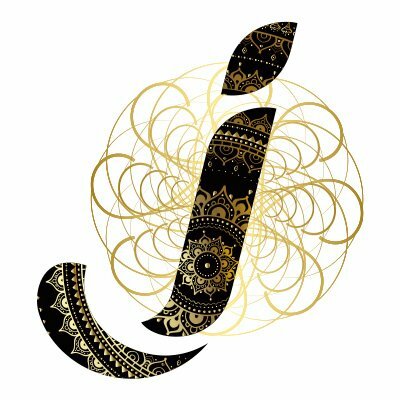 On May 28 and 29, you will find us at stand F-4432, inside the Spanish pavillion. 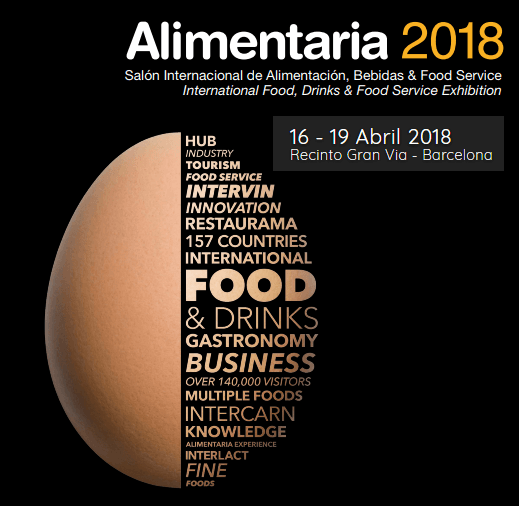 Once again, we head to Barcelona to take part in Alimentaria 2018, the top event in the food, beverage and gastronomy industry in Spain, and one of Europe’s most important fairs. 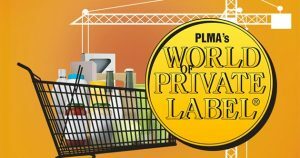 From April 16 to April 19 we will be in our booth featuring our products, sharing room with the top companies of the sector. You can find us in Hall 5, booth B267. See you there! Thanks to the participants and the attendants to the event. 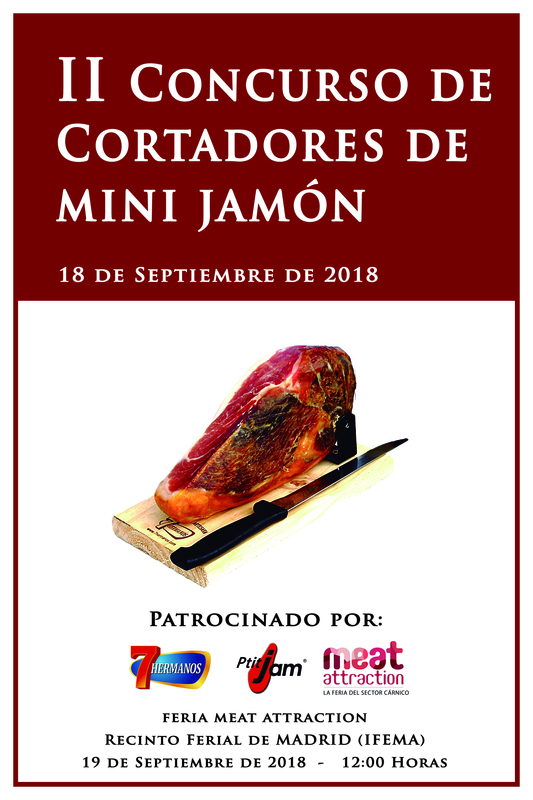 7 Hermanos, as pioneers in the development and commercialization of mini hams, sponsor this great event. It is organised by IGCortadores. 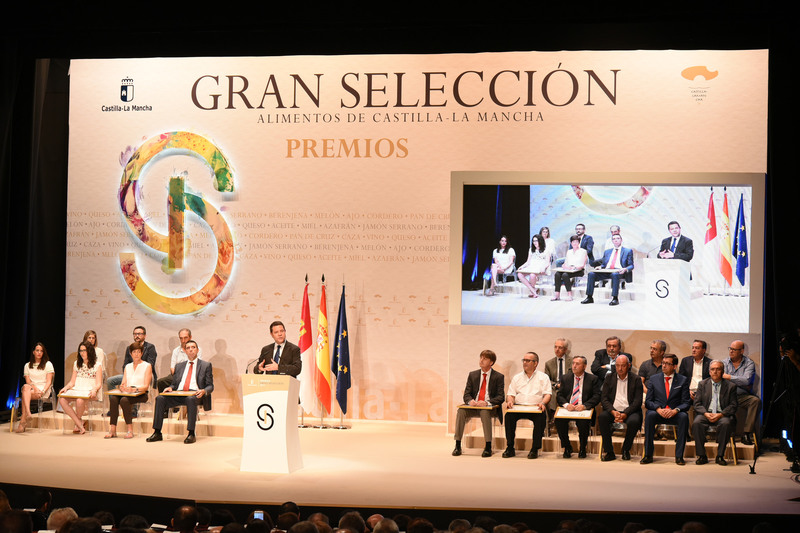 The XXVIII Edition of “Gran Selección” 2017 awards to the best foods of Castilla-La Mancha has been held. And one more year, 7 Hermanos has been honored. 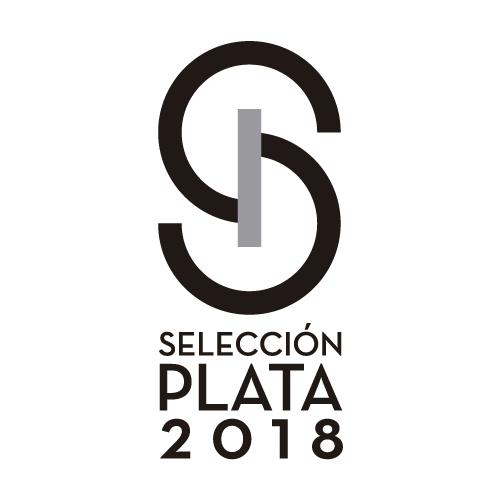 This time with “Gran Seleccion” award Castilla-La Mancha to the trophy Gold Selection to Serrano ham “Gran Reserva”. Each year we strive to enhance and to keep growing so we can obtain results like these. The nexts 7, 8 and 9 of June will take place the IX Congreso Mundial del Jamón Curado in the imperial city of Toledo. The capital of Castilla-La Mancha celebrates this year the 30th anniversary of it´s designation as World Heritage Site and the congress would be the culmination to the celebrations of Toledo as the Spanish Gastronomic Capital 2016. Thank you very much to all of you that approach to our Stand at IFEMA, in the 31 Edition Salón Gourmet. This year more than ever we have enjoyed with a huge amount of visits and what is more important, with hight quality! This edition has highlighted by the good entrance, the good company and of course The good Ham!! See you in the next one. One more year we will have a booth at one of the best European events that exsits. In Madrid (IFEMA) the next days 24, 25, 26 y 27 of April we will be waiting for you so you can know our new products and also the traditional ones that each year can managed to win the hearts of the visitors. The capital city prepares for a 4 days event where the most innovative and avant-garde products of the gastronomy world meet in this place. Don´t miss it! Great acceptance of Spanish products in the United Kingdom. 7Hermanos hams and sausages were well appreciate by the visitors from UK and other parts of the world that approached by our booth. Iberico and Serrano ham were very well known in the country and no one pass by without tasting our excellent ham and enjoying with the mediterranean flovours. A successful without doubts that we will repeat in next editions. 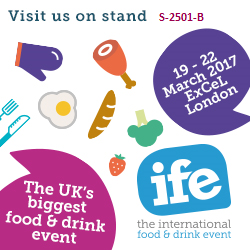 From the 19-22 of March the UK´s biggest and most important food and drink trade show will be held in London. More than 29.000 attendees and 108 different countries. Come and visit Us! We will be at: MEAT AND SEAFOOD HALL, STAND S-2501-B. The next October 16th, will begin a new edition of the SIAL PARIS FAIR 2016. 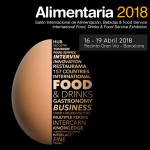 A world window for the agro-alimentary sector that bring together all the professional producers and buyers of the industry. From the 16-20 October you can come and visit our Stand C144 Hall 6. ¡We are waiting for you! 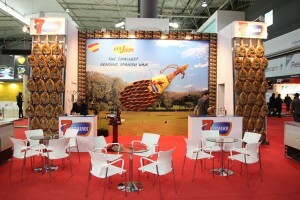 7 HERMANOS participated in ALIMENTARIA BARCELONA FAIR from 25-28 April. This year we obtained a great number of visitors as never before, thanks to our excellent Stand, our new products and especially to all the people that visited us and helped to make this possible. Thanks to everyone, see you in the next one! 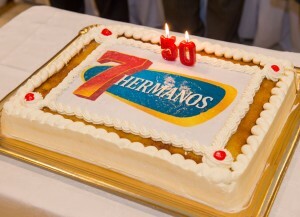 The last month of March, 7 hermanos was visited and interviewee by the television channel Telemadrid to appear on a television program. They show the company history and how 7 Hermanos has managed to combine tradition with modern production process, becoming as a leading company in the sector. 1965-2015. We celebrate the 50 aniversary of the setting up of the brand and the launching of the fisrt facilities. Today we reach the goal; Now starts another challenge: make another 50 years. Thanks to everyone.